Vines and olive groves. Is it Tuscany? Bordeaux? Rioja? No, Barossa Valley. Australia’s premier wine region lies just 70 km from Adelaide. For millennia the Dreamtime legend spoke of a serpent who formed the ranges that surround this modern day Garden of Eden. A mere couple of centuries ago, Lutheran refugees, fleeing Prussia’s religious intolerance in the nineteenth century, brought their vines. Now we can live the dream. As liquid light bathes the valley, what could be better than to partake of its vintage liquid, the bold, spicy Shiraz, produce of one of over a hundred and fifty wineries? Taste before you buy at over eighty cellar doors, including the stately Chateau Tanunda, the picturesque Bethany, or a personal favourite, Tscharke Wines at Marananga. The quaint towns of the Barossa make for a wonderful weekend break. Tanunda, home of Jacob’s Creek (they do make some fine wines whatever you say), is the most tourist-centered, but you can get more of a local feel at Nuriootpa (“Noorie”) or Angaston. 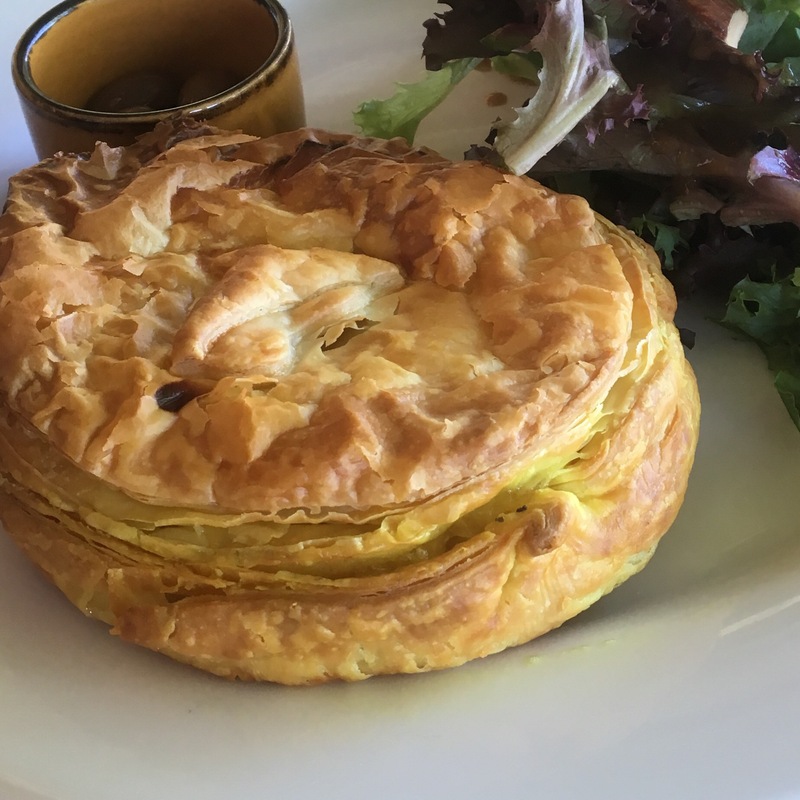 As well as wine, the region offers outstanding food produce with many fine eateries and artisanal purveyors, including Maggie Beer’s Farm Shop for the complete epicurean experience. We had travelled long and hard from Victoria and New South Wales (see Three states in one day). As we entered the valley from the scrubby South Australian mallee, I fell in love with the Barossa again. An overnight stay at the Angaston Motel with gourmet pizza and a bottle of shiraz in the sunset and under the stars was sublime. The next day we stopped at Pindarie for more wine tasting and chef’s special pie. Perched atop a hill, almost out of the valley but overlooking it all, drinking in the light, the ancient serpent ridge, but most of all, the precious local liquid. 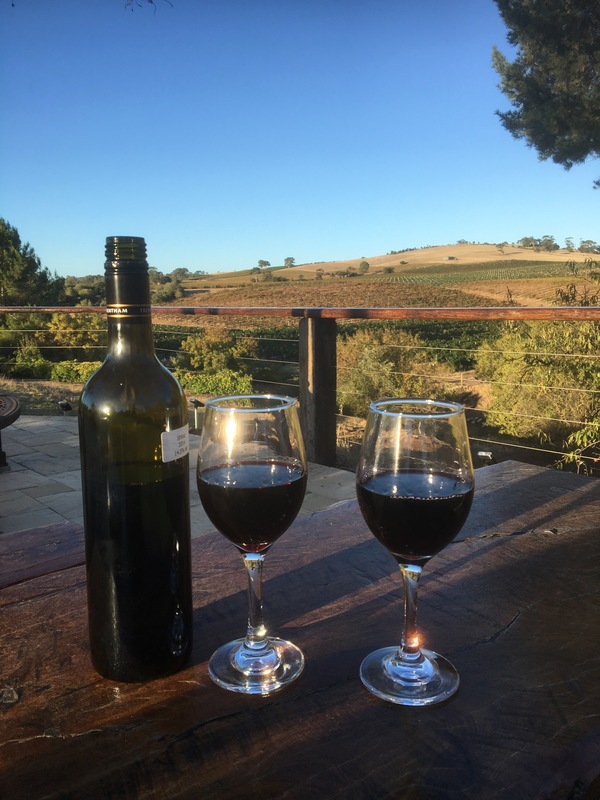 Raise your glass for the beautiful Barossa Valley and its beautiful produce. Cheers. For the Daily Post weekly photo challenge liquid. Good wines, good views. The Barossa Valley is stunning. Looks like you caught it on a good sunny day too. Pingback: Liquid – Sunset | What's (in) the Picture?